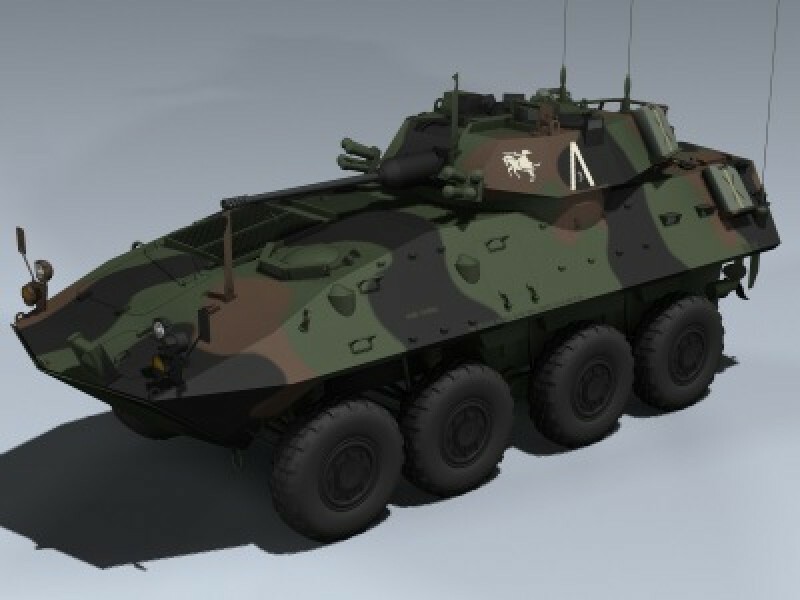 This is the gun version of the US Marines Light Armored Vehicle in NATO camouflage. 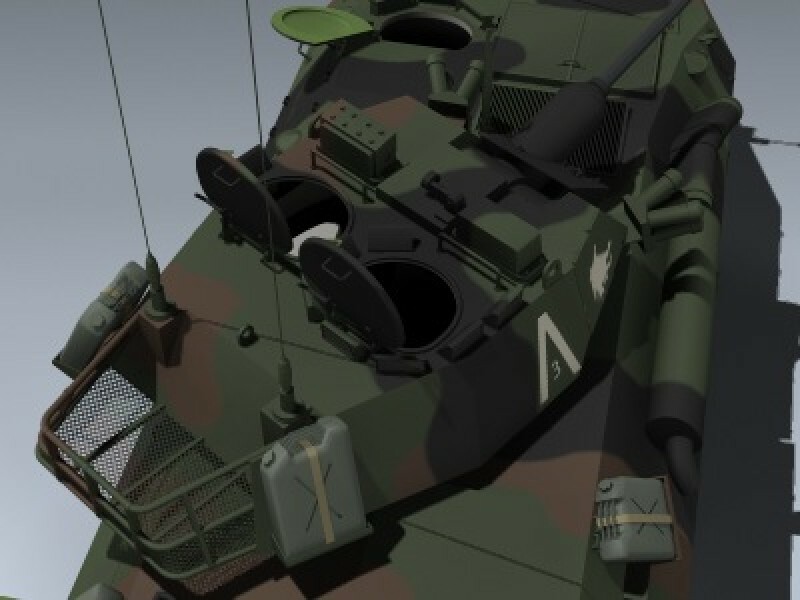 Features very detailed exterior and low-res, boxed-in interior. 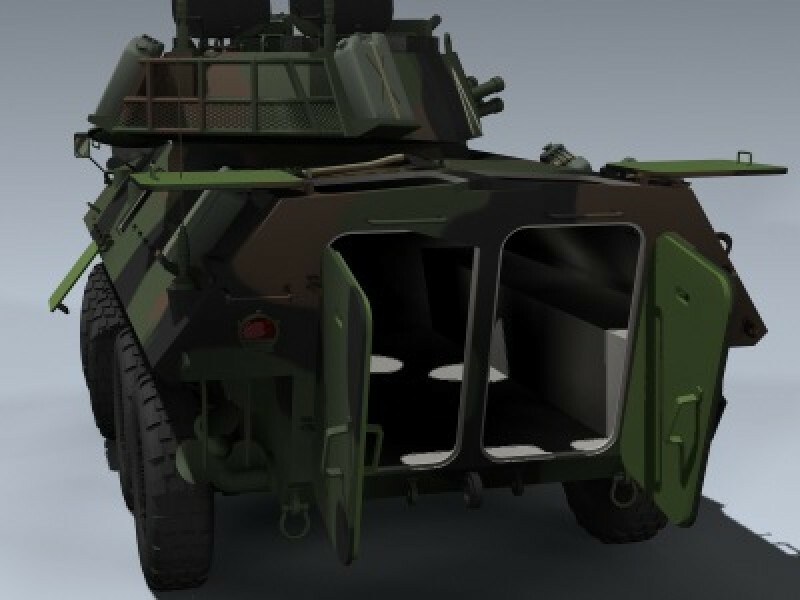 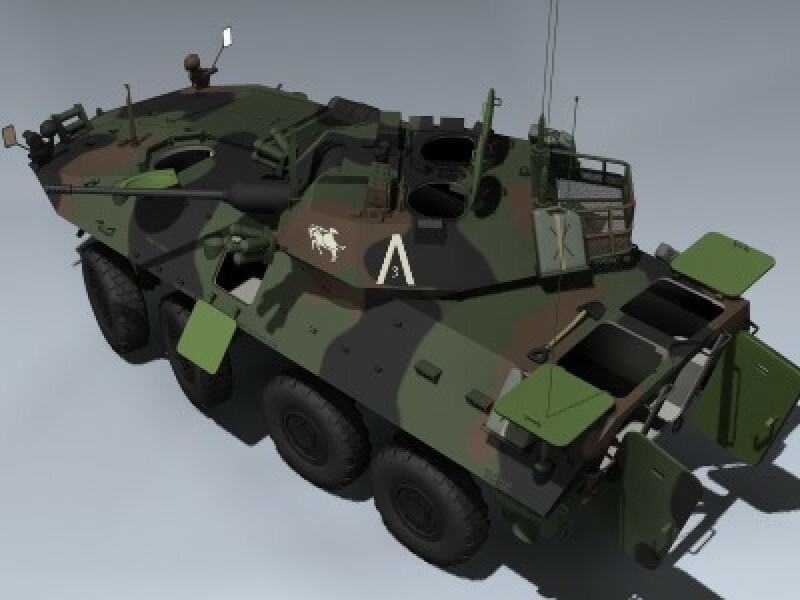 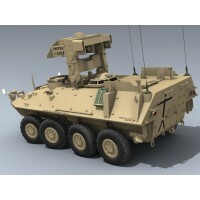 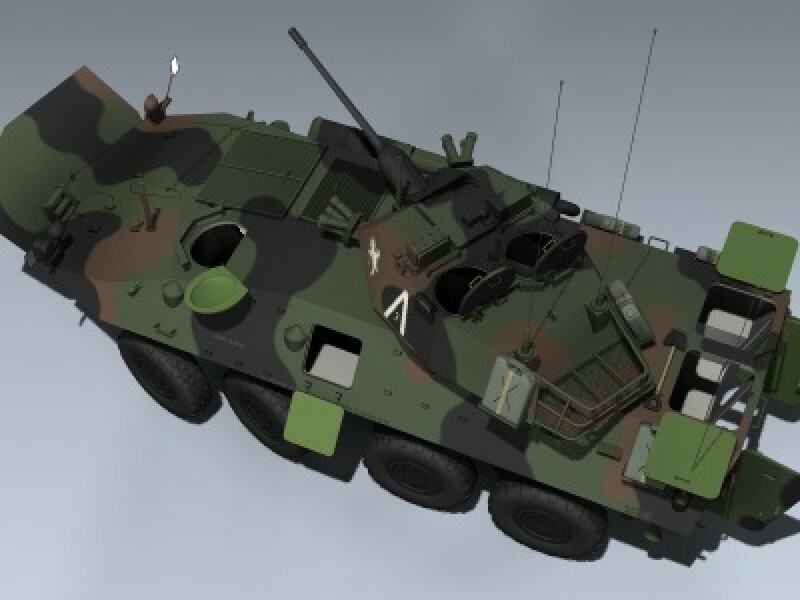 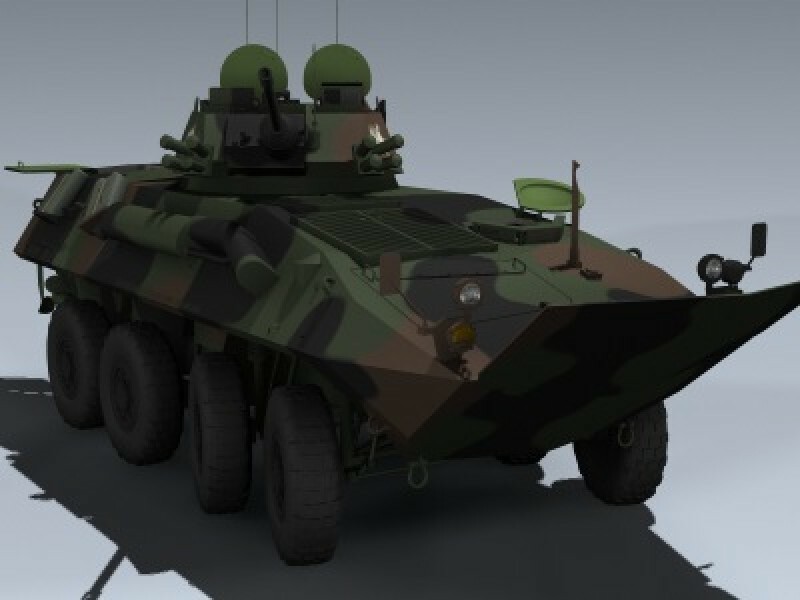 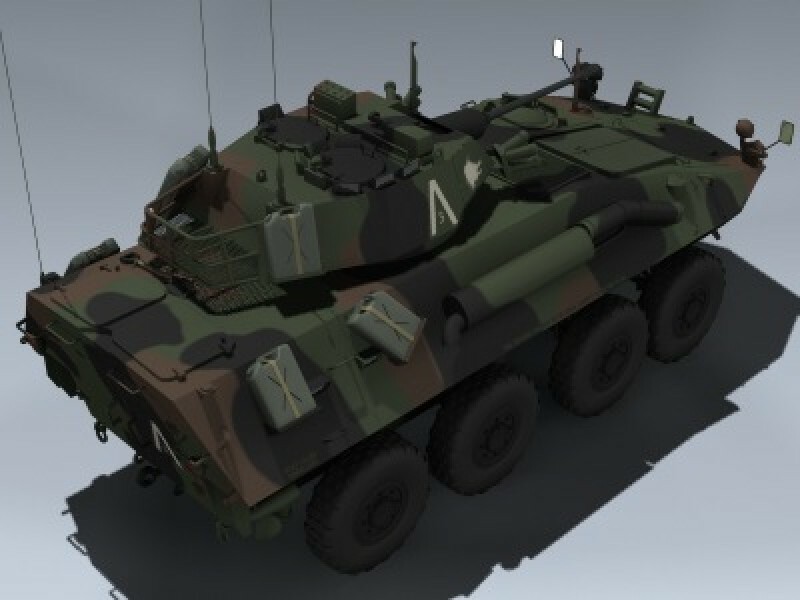 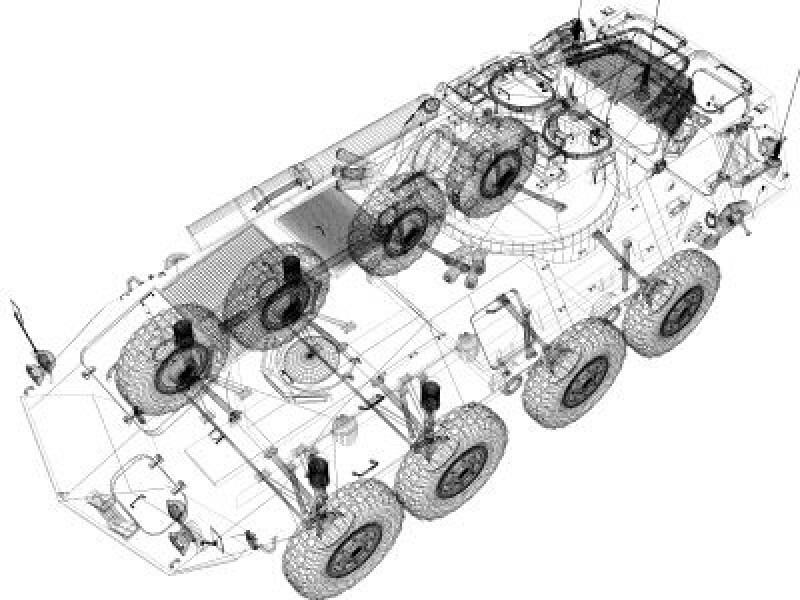 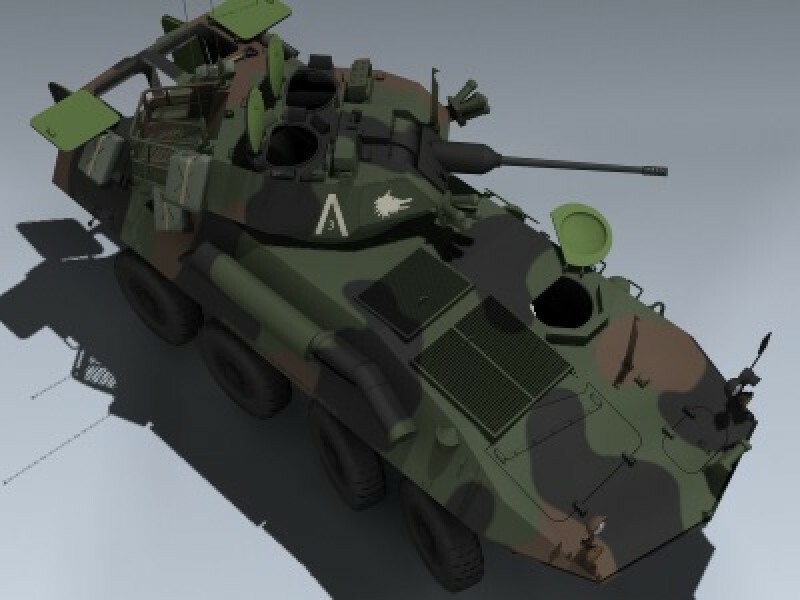 Includes separate parts for steering and suspension, as well as separate hatches, doors, mirrors and gun for animating.